These books contain the memoirs of two Education Officers in Africa, Jean Evans (nee Jakoby) in Nigeria and Harry Hudson in Uganda and Nyasaland, but their approaches are markedly different. Jean Evans has written a lively autobiography with her experience in secondary education as its background, not its foreground. While the early chapters cover her intriguing family origin and her upbringing in London, most of her book is focused on her time, between 1950 and 1957, in the mission-run Ibadan Boys' Grammar School and then as headmistress of the Government Girls' Secondary School in Adamawa Province. The autobiography concludes with references to her married life, motherhood and recent visits to Nigeria. Throughout her approach is emphatically personal, not only because it is autobiographical but also because she writes of education not in terms of policy or system but rather in terms of the persons she met and worked with, pupils and colleagues, missionaries and shopkeepers, government officials and politicians, most of whom are named in the text; indeed the text is full to overflowing with the names of those she knew. Nonetheless the reminiscences, rich in anecdote, bring out her natural affection for Nigeria and Nigerians, and theirs for her, an impression reinforced by a hundred photographs. Those who worked in education in Nigeria in the 1950s will find this extended diarycum- family album an interesting read, in part to see whether they are mentioned in the text, but sadly the absence of an index will not help them. Tighter proof reading would also have helped. By comparison Harry Hudson's reminiscences are focused on education policy, administration and supervision in a period of political change, though he also has room for references to his personal and social expatriate life. His book is divided into two parts. The first, longer and better part, covers his time in Uganda between 1946 and 1959 as an Education Officer and eventually as Permanent Secretary to the Minister in the semi-autonomous Kingdom of Buganda; indeed the most fascinating part of the book is that which deals with the impact of politics on education in the days of Andrew Cohen and the Kabaka. 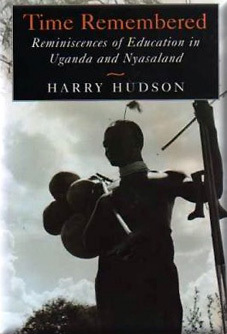 The second and brief section deals with Hudson's time as Deputy Director of Education and then Chief Education Officer in Nyasaland between 1959 and 1964. This second part is somewhat perfunctory; even so it is interesting because of what he has to say about the changing role of the expatriate official in the approach to Nyasaland's independence. Hudson's book, a mixture of personal recollection, strongly held opinion and factual description of political change will be of more than usual value to students of colonial education in the years of expansion in the 1950s and in the years of approaching independence. 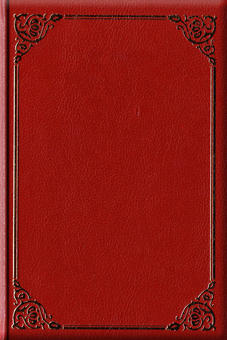 Particularly useful are his accounts of educational systems in which the colonial government provided the funds while the grant-aided voluntary agencies managed the schools, his reference to the diverse roles of the Provincial Education Officer, the importance of the missionary factor in education, the tensions ('Holy War') between Catholic and Protestant missions, the provision of education for Muslim children, the experiment in a measure of self-government in Buganda and the sensitive adjustments which had to he made hy officials when they began to work for African ministers. In short, 'Time Remembered' will be helpful to those interested in policy and practice in colonial education over the twenty years prior to general independence in Africa: it would have been even more helpful had it had an index.